To go along with the the new blog name, I decided to rename #BookBagMonday to #MondaySHELFie. The content will be the same, I just wanted a title that fit better with the overall theme of my blog. 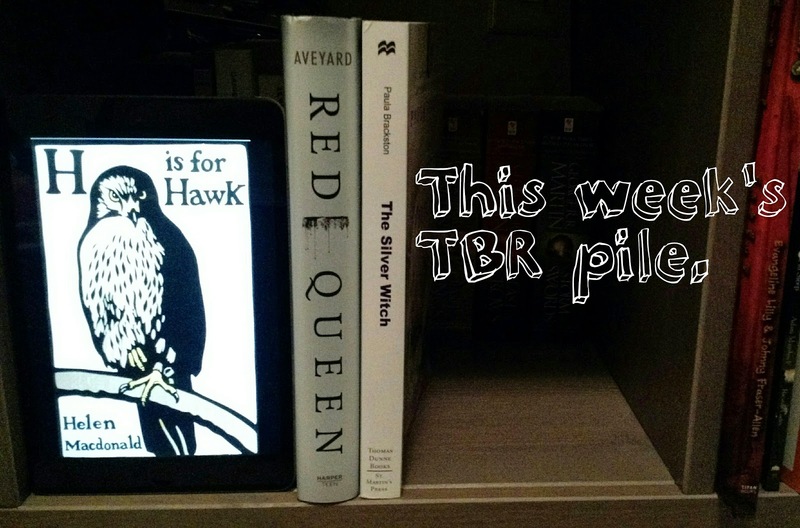 This week, I'll be starting H is for Hawk by Helen Macdonald. This memoir was recommended by I've Read That, so I have been really anxious to start it. I managed to get a copy via NetGalley. I'm also really excited to start Victoria Aveyard's Red Queen. Since it launched, my Twitter feed has been exploding with praise for the book. Last on the list is The Silver Witch by Paula Brackston. I won this ARC from a Goodreads giveaway. It's getting some mixed reviews online. So, I'm curious how it'll go. No new book mail this week. This is the first time in a while. 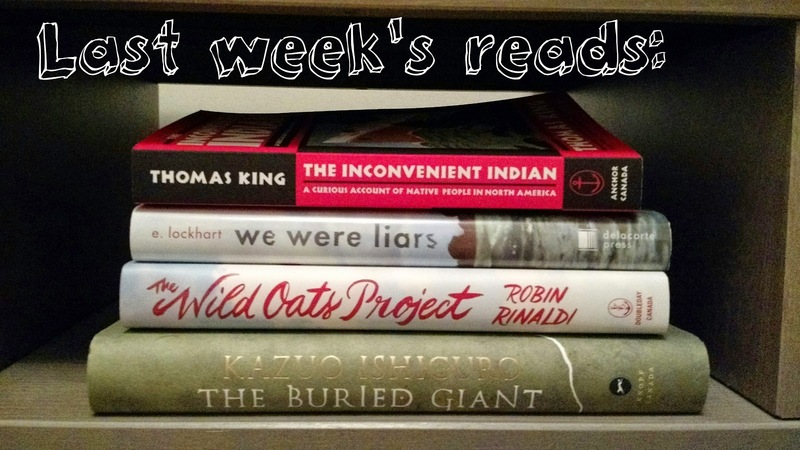 I'm expecting a few deliveries this week which I'll share in the next #MondaySHELFie. Have a great week!